We’re back from Orlando and sipping our 23rd cup of coffee as we recover from all the conferencing and extroverting in the land. Don’t miss the Military Influencer Conference next year – September 8-10 in Washington, DC. But until then, get your awesome straight from The Sip, the biweekly newsletter brought to you by MilSpouseFest. Be sure to add us to your address book so we don’t go to spam. Nobody puts Baby in the corner. Subscribe here. On today’s date in 1937, the first Santa Claus training school opened in Albion, New York. For $75 you could get a “B.S.C.” or bachelors in Santa Claus. Fun fact if you’re looking for a new job: It’s still up and running. All eyes are on the hearing this morning, during which we’ll hear testimonies from both Judge Brett Kavanaugh (Supreme Court nominee) and Dr. Christine Blasey Ford, who has publicly stepped forward alleging that Kavanaugh sexually assaulted her in high school. Two other women have stepped forward saying that Kavanaugh also assaulted them. On the other side of the spectrum, two men have stepped forward and said, “Yo, I did it. It was me. I assaulted her, not Brett.” (Disclosure: those aren’t exact quotes). Speaking of hot zones, our frenemy status with China is making headlines again.Apparently the Air Force flew some B-52 bombers into the Chinese military’s unilaterally declared Air Defense Identification Zone. China was like, “Don’t do that.” SECDEF Mad-Dog was like, “Really guys, this is no big deal. We are just getting from A to B.” (We’re clearly paraphrasing here). And then what happened? President Trump stepped forward and alleged that China is interfering with our elections. “They do not want me or us to win because I am the first president ever to challenge China on trade. We are winning on trade. We are winning at every level.” (Those are exact quotes.) More to follow on THAT but we’ll probably order pizza instead of Chinese food tomorrow in solidarity. Also in China … a woman used 40 empty cement bags to create a wedding dress. She was inspired by the bags. We’d be more inclined to throw them away, but hey boo, you do you. While we’re on the subject of digging through garbage, most raccoons are known for their nocturnal dumpster diving, but this one was clearly looking for more of an adrenaline fix than your leftover chicken. 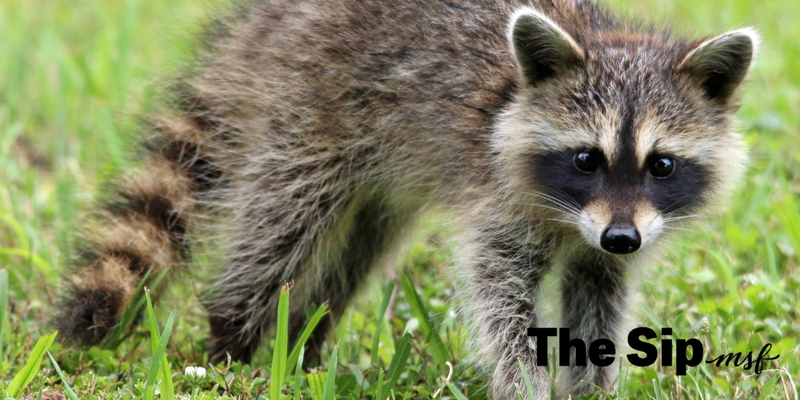 Onlookers watched in amazement and horror as a raccoon scaled a building and then leaped nine floors before running away. Watch the video here. And finally, a kayaker got slapped in the face with an octopus, by a seal. And luckily for the world it was caught on video. You’re welcome. We love this piece by Kara Ludlow on building confidence as a military spouse, with tactical takeaways and great resources of where to find your tribe and your voice. Do you laugh so hard you literally pee your pants? Turns out the struggle is real but no one wants to talk about it. Except InDependent. Read this super helpful posthere. If you know us at all, you know we LOVE the 5 Love Languages. Read this insightful article talking about how to use the “Acts of Service” language from Living Life as a Wife. Homecoming videos always get us right in the feels but there’s something extra feel-y about a mom and her toddler. Grab a kleenex for all the happy tears and watch this reunion. The winning has started and it is only going to KEEP going!!! 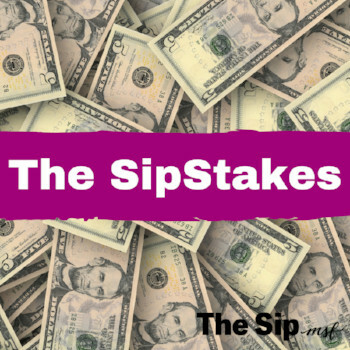 Our eighth SipStakes winner ($200 Amazon gift card!) is … Kymi! A gift card is coming your way – we’ll email you. Thanks for entering!